Home.. as I sit in my comfortable apartment in a suburban Sydney town I am reminded how lucky I have had it. A happy childhood. A safe one. Yet I always think of how my life would have been back home. My real home. The one my brother and I would have grown up in of the war didn’t happen. But it did happen. I was born in Trebinje,Bosnia in 1988. At that time it was part of Yugoslavia. Now its part of Republika Srpska, the region of BiH administered by Serbs following the 1990s war. Its crazy to think how in modern times a war could break out in Europe! From what mum has told me, my family was told to leave just like the rest of the town. Even Asmir Begovic, who plays in the Bosnian national soccer team. Our fathers played in the same team. I was four when we left so I don’t have any memories and my brother was born during the war. My parents grabbed what they could carry, we fled Sandzak in Montenegro then made our way to Denmark. Unlike Sarajevo and Mostar, there aren’t too many visible signs war had happened in Trebinje. This is because when the Serbian forces took over, they forced us all to leave, and was used as a major command and artillery base by Yugoslav People’s Army troops besieging the Croatian town of Dubrovnik. Only the mosques seemed to have been damaged. 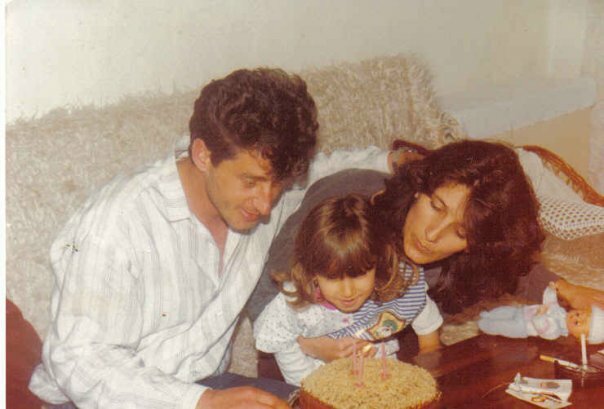 My third birthday. Before our world changed. When the war broke out Denmark accepted about 20,000 Bosnian refugees. They were placed in refugee camps across the country. We stayed in one of these camps for almost two years with other displaced Bosnians. .But Denmark only saw us as temporary residents and we would go home as soon as we could. No one predicted the war would be that long. The Danish government didn’t grand asylum to Bosnians for a few years. But they did try give us a normal life by organising day cares for kids and activities for everyone. I remember attending a big Christmas party in their hall. I am so glad we have alot of photos and video tapes (which i do need to eventually make onto dvds haha), from these days. We couldn’t really go to Danish schools, as it would give us false hope of staying in Denmark. They gave the children Bosnian curriculum in school because they would want us to continue our education when we got back home. The uncertainty if the war would end soon and if Denmark would grant us asylum led my parents to make the decision to move to Australia, in hopes for a better life, leaving my mums family behind, they settled Denmark & Norway later. I still remember the day when one of the kids there said to me that’s she’s moving to Austria. I proudly said that I was going to Australia. Even though I didn’t know where it was or how far from the rest of the world it was. As a kid you don’t think about why we moved, or why we would be moving again. I had my family with me and that’s all that mattered to me. During our first month in Australia i remember i was going to the doctors to get my before you start school shot. I kicked the doctor and ran our crying after saying I hated Australia. I think that’s where my fear of needles came from. I started school shortly after. Knowing no English my first day was horrible. When I parents said goodbye I cried. I was confused why they would leave me. I didn’t go pre school in Bosnia and Denmark only had a children’s play center. I had to copy off the board a language I had no idea about. Come to think about it I don’t think I really had written much before than. So i was trying to figure out how to “draw” these weird things that were letters! And because it took me longer than anyone else I had to stay back during lunch and finish. My first day and I had no lunch. great start. Fast forward 20 something years. I’m 26, almost 27. I think and speak in English. I am an Australian citizen. My dream as a teenager was to visit the USA. I was obsessed with anything American. I blame American tv shows i was addicted to. That changed about 10 years ago. I started to appreciate and love where i was from. And then finally in 2013 I went home for the first time since we fled from it. My perspectives changed. Trebinje. It’s a place I always wanted to one day visit and a place my mother wanted to forget. I was a baby when I left. No one remembers things from when they are 4. But mum was 23. She was young with two babies. She left everything she loved and knew about her home. When we sat in the bus I noticed a sticker in front of me. It was of a kangaroo. It had to be a sign. The bus pulled into the station an hour later and emotions overwhelmed us. It is such a pretty town. Azzaro Cafe. This is where my dad worked, and also where my parents first met. As we approached the block of houses, my heart was pounding, palms were sweaty, and my phone was ready to snap away! 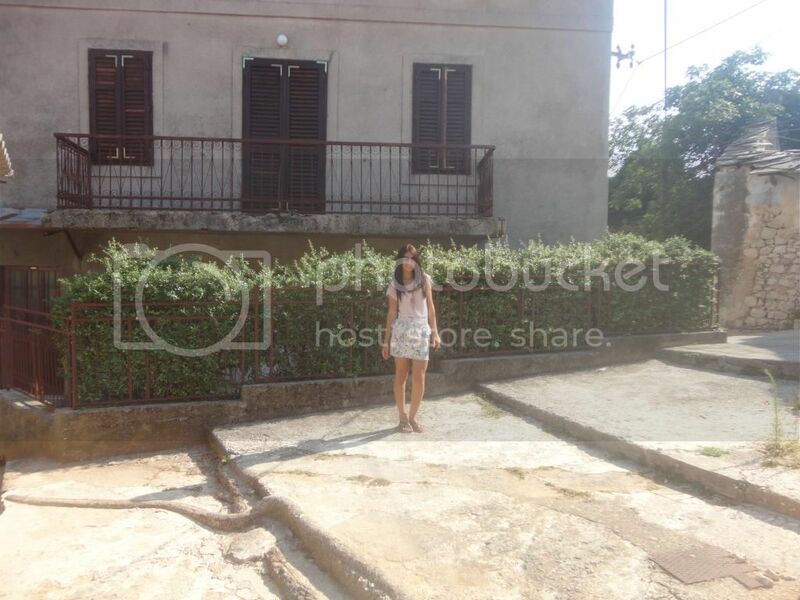 In front of my old house. When we walked up the stairs to the neighbourhood where I lived I got deja vu. The backyard to the house looked familiar. That’s because 20 years ago it belonged to us. Now some family lives in it. i could hear them sitting down for lunch. It makes me so angry that my parents worked for that house, and someone can come in and kick us all out and claim it for themselves. I’ve been taught to not hate people no matter what they have done.Please note that this post isnt about hate. I have very close friends who are Croatian and Serbian and we never let our countries differences affect our relationships. Im not religious but i dont judge those who are. My dads mum is a Catholic from Mostar, so ive always been accepting from both sides. We are all humans living on the same planet. Religion or ethnicity should never define us as a person.But i cant help feeling hurt about this situation. I couldn’t help notice a toy truck next to the door. I tried to imagine that being my brothers. Him and I playing in the back, but no memories come to mind. Because there were no memories of us enjoying our childhood together there. Getting to see my old home was a good experience. Something both mum and i needed. For different reasons. Everyone should know who they are and where they came from. Where the lived, and played. My first four years were spent inside this home. 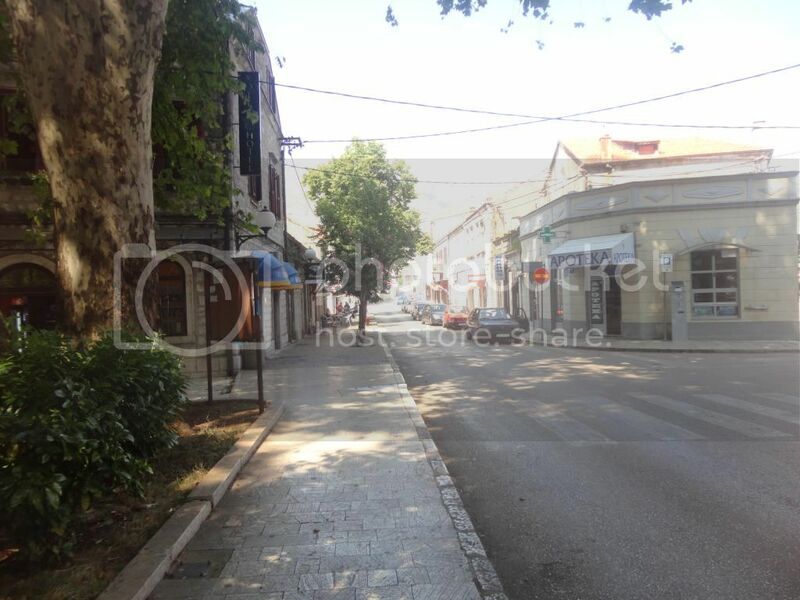 Despite being so close to Dubrovnik, Trebinje isnt a busy place. Perfect for a day away from the crowds, to enjoy a nice coffee and walk by the river. We were in town only for 3 hours but we did get to experience the local side of the town. Markets, people drinking coffee, families walking around. In the late 60’s a hydro-power dam was built on the river, and the bridge was flooded. 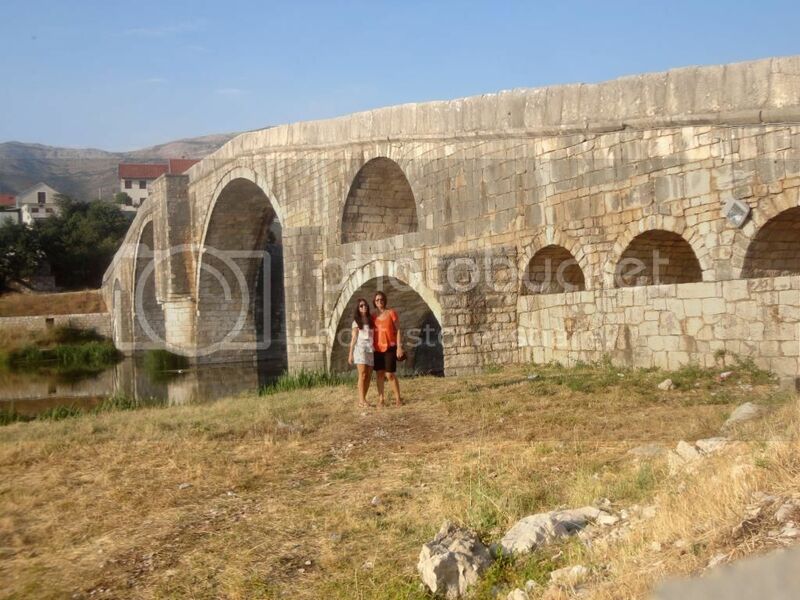 The water level was lowered again in 1966 to dismantle the bridge and it was taken, stone by stone and rebuilt in the downtown of Trebinje, about 10km from its original location. Didnt want to leave my home town, but all good adventures come to an end. TIL next time! 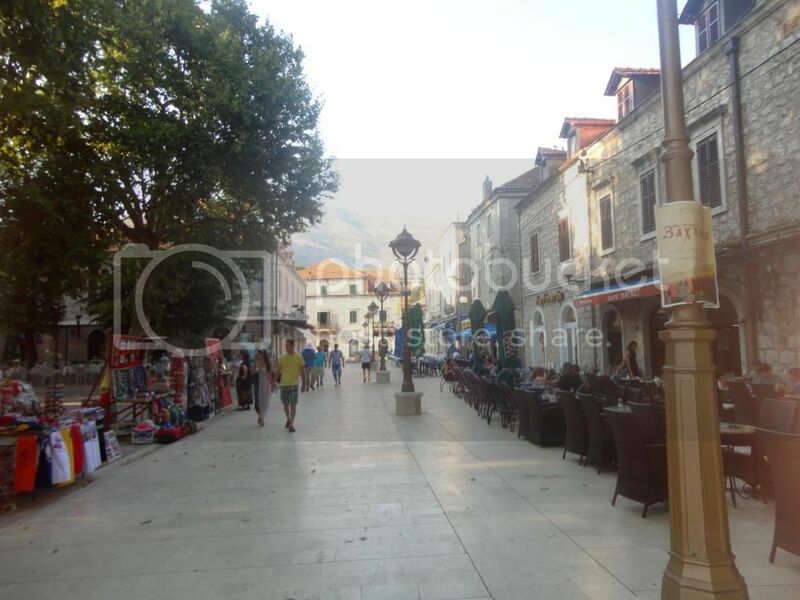 ONLY one bus per day goes from the main bus station in Dubrovnik daily to Trebinje at around 1PM. It costs about 40 Kuna takes around an hour. The bus goes back to Dubrovnik from Trebinje in the MORNING. So unless you are planning to take a taxi home, you will have to stay overnight. The taxi didn’t cost us very much, maybe about $20 (ask the driver), and only took 30 or so minutes. Perfect for a day trip from Dubrovnik. Enjoy the cheap food, and accommodation! Wow that was long! haha but it was my favourite post to write. Bought back so many memories. Good and bad ones. 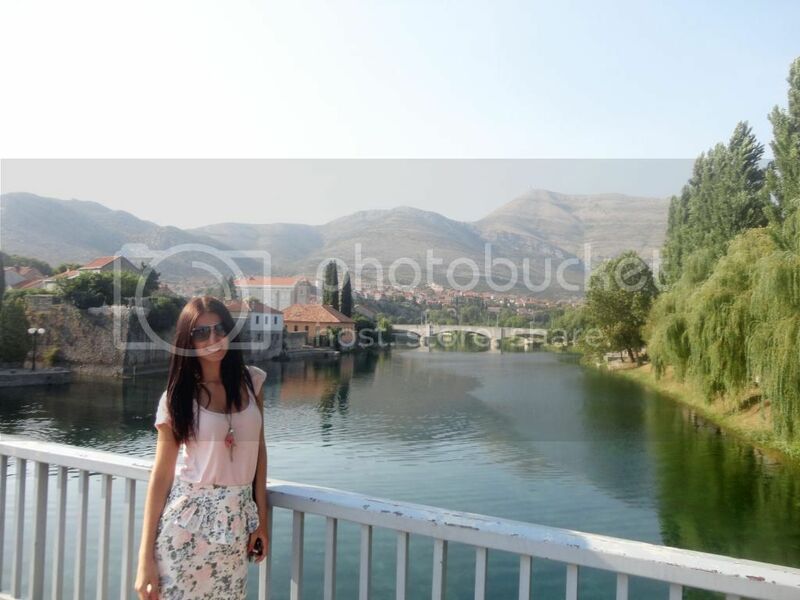 I recommend Trebinje for anyone who is looking for a nice peaceful day away from all the tourists. Below are a few of the then and now photos i have stitched together! My sister came across your story & shared with me because everything you experienced mirrors our story. Our Father was born in Turjak (approx 40mins outside Gradiska) he too moved to Sydney, however in 1968 in a different time. My Mother who is from Philippines met my Father in Philippines on his holiday where they married then moved to Sydney where my Sister was born 1984. The following year three of them returned to Turjak to look after my Paternal grandfather and where my family spent the next years (1984-1991). My sister spent the first 5-6 years of her life in Turjak speaking her first language Bosnian and my Mother was the first Filipina in the region who spoke fluent Bosnian and she cooks our foods etc. It was a big thing back in those days. Like you our family had a home, my father rebuilt a new home for us. Unfortunately with news of a war breaking out soon my parents were not able to finish the insides of the house and knew it was right to return to Sydney for safety. In that instance every thing my Dad grew up to know and all that Mum and sister knew in Turjak was left behind for a fresh start in Sydney where I was born in 92. Fast forward to 2014 my father was diagnosed with cancer and it was his last wish to take us back to his hometown in June 2015 as he wanted to wait for me to Graduate my degree in June first. Unfortunately my Father could not make it and left us in NYE 2014. I vowed to him I will Graduate as with any parent education was foremost and I said I’ll make this trip happen in his Honour. My Mother, sister and I returned this June/July of 2015. They had not returned since they left in ’91. For me my Father brought me there when in ’94 at age 3 (but I have no memories) for his Humanatarian work as he raised money in Sydney & Melbourne to buy 4 Ambulances from Germany to bring to Bosnia. Like you our returning experience was a very poignant and emotional one. I can see the deep connection and memories resurfacing for my Mother & sister who had lived there for first 6 years of her life and for my mother who lived a life as ypu would in the selo to then suddenly leave it all behind. It was also an emotional journey without my Father having just lost him 6 months earlier & knowing this is where he wanted to be. Being at an age old enough to understand we learnt more of our family history, the culture (even though we have always been connected to our customs/traditions in Sydney) it was even more special being in the land and learning more from family and relatives. Hearing our relatives stories during the war and how they coped. We concluded everyone loses in a war and there is obviously more to things than what the media portrays (that’s a different story lol) . Overall it was the most special and life changing experience returning to Bosnia in honour of my father. I felt our stories being so similar I thought to share as I appreciate you sharing yours. Hope all is well on your end. Returned in ’95 at the age of 3. Exactly 20 years also since I’ve been back myself. Wow. What a story! I’m aussie born and just traveling through bosnia at the moment, started in trebinje now in mostar, moving to sarajevo, jajce, banja luka and bihac – would love any more tips you have, especially for the towns in the north! 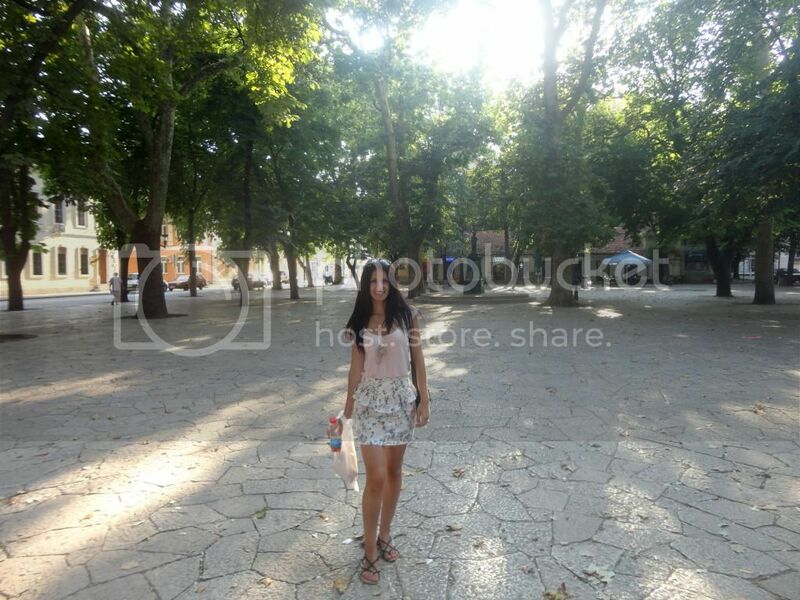 I travelled to Trebinje from Dubrovnik back in 2007, but I hired a car. I had heard there was a beautiful Ottoman bridge there but didn’t find it. Whenever I asked anyone with my rudimentary local language skills, they would point out the more modern bridges… now I understand why I couldn’t find the one I wanted! Good to know, hopefully I’ll get to go back again one day and find it. What a powerful post. Enjoyed seems the wrong word to use…but this was a very interesting read. Thank you hun! Was a very hard one for me to write, had to ask my mum for information and do alot of reasearch as i was only four when we left. This was so fascinating to read, and I love the photos of you then and now! War seems like such a different, far away world, but this is a reminder that it’s closer than I think. See you tonight at the blogger meetup! Yes, but sadly world peace just seems to be a distant dream.. Unlikely in our time, too many greedy people.. It would be a lot easier if there was just peace on earth. Thanks 😉 We could have in the beginning but it required lawyers and going back to settle everything. We came to Australia with no English and no money so that was impossible. I don’t go there anymore 🙂 Well, at least I haven’t been there for years. I probably might go one day if some miracle happens 🙂 But anyways, I think the first visit stays something very special and if you miss that occasion to do your pics they will never be the same. It’s just not the same feeling, I guess. Some twisted facts: Serbian forces did not “come in”, they were already in town since Trebinje was mostly populated by Serbs. Also, Trebinje is in Herzegovina, and never been Bosnian city. Some other “facts” are open to discussion. Other than that, it was nice and sad story: in all wars ordinary people suffer, no matter which side they support. I agree, Yes trebinje like the rest of Bih had serbs. I had serb neighbours who were our friends. Our nations Co existed for hundreds of years. But they took over the city and we had to leave. My family from prjedor had to leave. I meant Bosnia and Herzegovina as a whole country. Trebinje is still part of BiH. 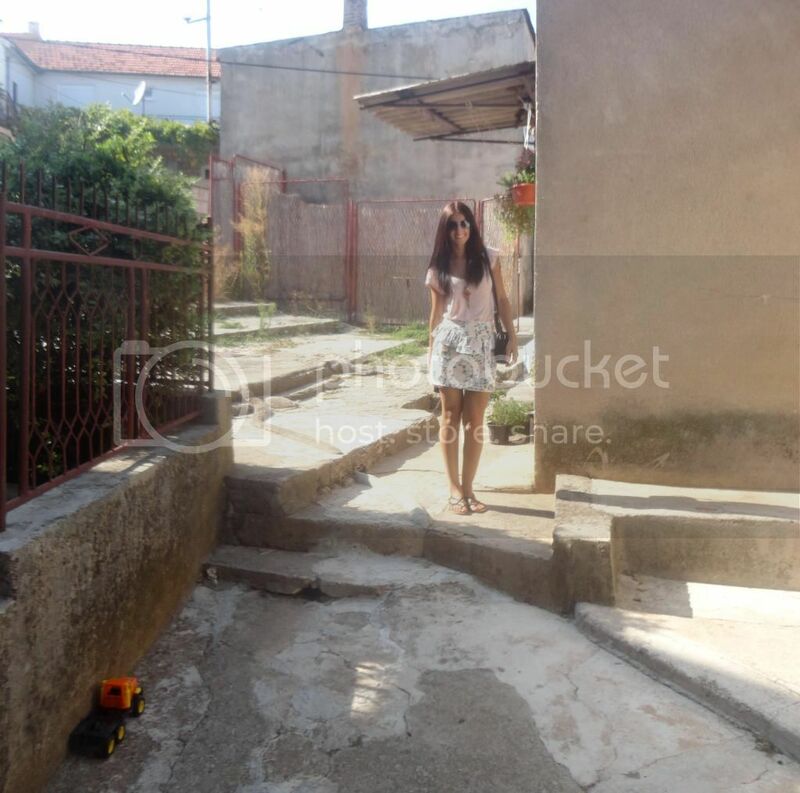 My family were forced to leave the place where their parents and grandparents lived. Like ive said ive been taught to not hate anyone. And as you said all sides do suffer. And as much as everyone would like it would never happen to anyone ever again, it’s happening all around the world. Lovely people. WHY do we always need to talk about the war. Bad things happened but now we should LOVE and not hate. Ariana, I am glad that you had a nice time in out home town and you are always welcome to come back!!! 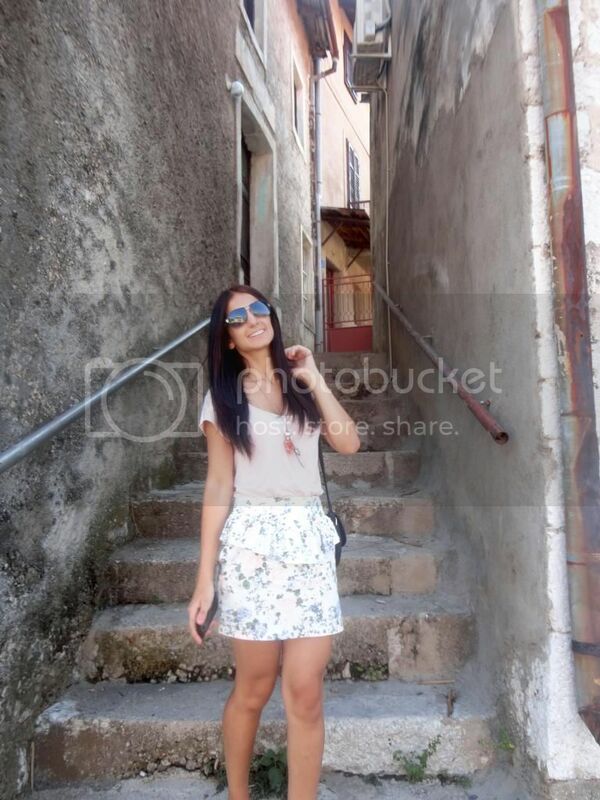 Love from Hercegovina!! !